Cultural Heritage Lawyer Rick St. Hilaire: Antiquities "Launderer" Pleads Guilty As Co-Defendants Continue to Litigate Case of US v. Khouli et al. Antiquities "Launderer" Pleads Guilty As Co-Defendants Continue to Litigate Case of US v. Khouli et al. US v. Khouli et al. Mousa "Morris" Khouli pleaded guilty yesterday to smuggling Egyptian cultural property into the United States and making a false statement to law enforcement authorities, according to the United States Attorney for the Eastern District of New York. Khouli, a New York based antiquities dealer, was indicted by a federal grand jury in 2011 for his role in illegally importing ancient artifacts. Also indicted were Joseph A. Lewis II, Salem Alshdaifat, and Ayman Ramadan. Ramadan remains at large. (Those indicted are considered innocent unless proven guilty). "The defendant [Mousa Khouli] entered his plea before the Honorable Edward R. Korman, United States District Judge, at the U.S. Courthouse in Brooklyn. The defendant faces a maximum sentence of 20 years’ imprisonment. The defendant also entered into a stipulation of settlement resolving a civil complaint seeking forfeiture of the Egyptian antiquities, Iraqi artifacts, cash and other pieces of cultural property seized in connection with the government’s investigation." (See here for background). This guilty plea follows a motion hearing held on March 23, 2012 where co-defendant Joseph Lewis II's lawyer argued a motion to dismiss the case against Lewis. Lewis is alleged to have received contraband Egyptian archaeological material from Khouli. But Lewis' lawyer maintained at the hearing that Lewis was never part of the illegal importation process. At the March court proceeding, Lewis' attorney argued: "The issue for this case is whether this man participated in or agreed to participate in the process by which these objects were brought in deceitfully through United States Customs. That's the issue. There's no evidence of that." 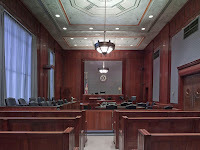 Assistant United States Attorney Karin Orenstein countered that it is inappropriate for the court to dismiss a case based on facts that should be heard and evaluated during a trial. She also stated that Lewis' involvement in an illegally imported Egyptian coffin found in Miami, Florida in 2008 would be used as evidence to show that Lewis knew about the mechanics of the import process into the U.S. of cultural property. Attorney Orenstein further described how Khouli acted as "a cultural property launderer." "He creates good provenance for a piece, so that when it comes through Customs, if it is scrutinized, they will see this is an item that left Egypt at a time when there were no laws protecting it from leaving Egypt." She added that the Egyptian sarcophagus at issue in this criminal case was described as coming from Khouli's father's collection from Israel in the 1960s. Orenstein alleged that Lewis told Khouli: "Put in the provenance from your late father's collection, Israel, 1960s." Orenstein also alleged that "Mr. Lewis had no reason to believe it came from [Khouli's] father's collection." Lewis' attorney disagreed with the prosecutor, maintaining that the government lacked trial witnesses to back up its suggested evidence. The court expressed reluctance to rule on the matter prior to trial when a fact finder would hear and weigh all the evidence. Meanwhile, on April 11, 2012, co-defendants Lewis and Alshdaifat filed a bill of particulars requesting detailed discovery from the prosecution. The co-defendants seek information about which ports were used to import the cultural property, what documents were provided to Customs, and which representations on the Customs forms were false. Khouli is scheduled to be sentenced on September 14, 2012. Reference: Transcript of March 23, 2012 hearing filed as attachment to Joseph Lewis II Bill of Particulars. Labels: Egypt, forfeiture actions, prosecutions, US v. Khouli et al.